We build mobile applications for deployment on Android and Apple phones. Today’s customer requires an experience that moves with them, and a well designed and developed mobile application is necessary to compete with the best. We specialize in large scale website development. 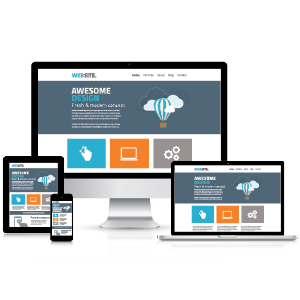 If you need a website that can handle high traffic and scale to meet demand, we can build a custom solution to adapt to your business. We integrate websites to well known api’s for up to the second data. We can assist you in allowing you to sell your products or services online through a store with online checkout. Machine learning is at the forefront of today’s business solutions. By including machine learning in your business you can respond smarter and faster to customer needs, make product recommendations, use visual recognition, or deploy advanced fraud detection. We can assist you in selecting the correct tools and algorithms you need to maximize your investment. Online education allows students to access content anywhere there is an internet connection. It greatly expands opportunities for students and also for the learning institute looking to expand their reach. Gorman Consulting has a solution for institutions looking to expand that reach through our online learning platform. Create your own courses, build tests and set the rules a student must follow to pass your program all from our all-in-one platform.